Weekly Glimpse #3: The History of Heroes of Fortunia – Polska Lemon Ltd.
Another week, another glimpse into the development process of Heroes of Fortunia! This week’s post is going to be a bit more technical than the other posts, as we are going to take an in-depth look at the development history for the game. Today, you will learn about the past development process, its hurdles, and the accomplishments that have been made up until today. 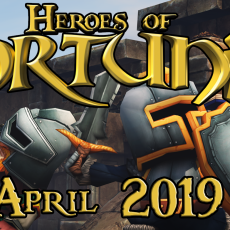 Next week’s blog post will be a regular glimpse into Heroes of Fortunia’s content again. As you can see, the first concept for Heroes of Fortunia was developed as early as 2015, and as a mobile game nonetheless! 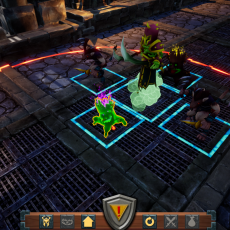 However, after a lot of prototyping and consideration, it was decided that it would be best suited as a PC-only game, partly due to performance, but also due to the gameplay and game design mechanics that lie at its very core, most of which simply wouldn’t feel natural in a mobile environment. Be sure to subscribe to our newsletter on our front page, so you don’t miss next week’s blog post where we will dive into another exciting part of the game!